Immunity is the state of living being in which the person is in the balanced state having biological defenses to fight against any pathogens that enter the body. This immunity is the type of immunity which is gained by the body at the time of birth. This immunity system activates as soon as the pathogens enter the body. It is also known as the non-specific immune system. The cells of this system respond to the pathogens in generic ways, but they do not provide long-lasting immunity to the host. Innate Immune System is found in all classes of plants and animals to provide them with the immediate protection. This immunity do not have any memory unlike the acquired immune system. They do not improve after the exposure to any antigen. They are always present in our body. Innate immunity is a primitive immune system and is dominant in lower level organisms like plants, fungi, insects and primitive multicellular organisms. Innate immune system is made up of barriers that aim to keep viruses, bacteria, parasites and other antigens out of the body or limit their ability to spread and move throughout the body. The innate immune system gets activated by the presence of antigens and their chemical properties. Physical Barriers - these includes such as skin, the gastrointestinal tract, the respiratory tract, the nasopharynx, cilia, eyelashes, and body hairs. Defense mechanism - these includes secretions from various parts of the body such as mucus secretion, bile juice, gastric acid, saliva, tears and sweat. General Immune Responses - these include inflammations inside the body, complement and non-specific cellular responses. The inflammatory responses immediately bring the immune cells to the site of infection by increasing the blood flow in the area. Complement is an immune response that destroys the pathogens by making holes in the cell membrane of the pathogens (Robins, A.). They mainly include the white blood cells or the leukocytes, which work for the defense and protection of the body. In order to move around and protect the whole body they travel through the circulatory system. 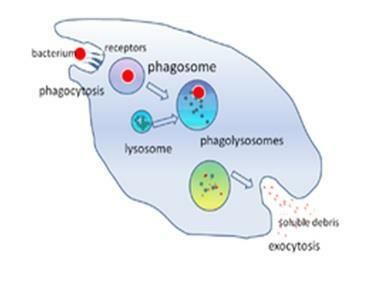 Phagocytes: "Phago" refers to eat and "cytes" means cells, so phagocytes means "eating cells". These play an important role in the immune system. The travel throughout the body and engulf and destroy any pathogens such as bacteria or pathogens. Macrophages: These are efficient phagocytic cells which can roam around the body outside the circulatory system. They kill the pathogens outside the circulatory system. They can release cytokines which allows the other cell come to the area with pathogens. 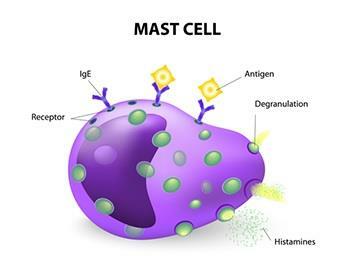 Mast Cells: These cells are found in mucus membranes and connective tissues. They defend against the pathogens through inflammatory responses. When the mast cells are activated, they release cytokines and granules containing chemical molecules which can create an inflammatory response. The cytokines released by these cells acts as the messenger service, alerting other immune cells about the pathogenic area. For example, mast cells release histamine which dilates the blood vessels, and increase in the blood flow in the infected area allowing the other cells to move to the required area. 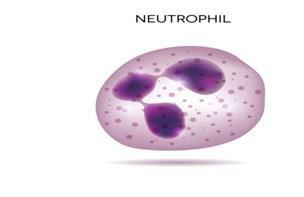 Neutrophil: Neutropjils are phagocytic cells. They contain granules, hence called granulocytes. These granules contain toxic substances that cause bacteria and fungi to stop proliferating or to die on contact. Eosinophil: They are granulocyte cells. They target multicellular parasites. They secrete highly toxic chemicals and free radicals that kill bacteria and parasites. These toxic chemicals can also damage the tissues during allergies. So eosinophils are highly regulated to prevent any unnecessary tissue damage. Basophils: Like the Eosinophils these are granulocytes that attack multicellular parasites. They release histamine like the mast cells and play a key role during allergies. Natural Killer Cells: These are special type of cells that do not attack pathogens directly. They attack the infected host cells and destroy them in order to stop the infection. Dendritic Cells: they are located in the tissues. They are called antigen-presenting cells. As they are located in the tissues which are the common points for infections, so they can indentify the threats and acts as the messenger to the rest pf the immune system (Innate immunity. )( Mitchell, R. N. (2013)). Adaptive immunity or acquired immunity is the immunity which is acquired during the lifetime of a person. This is also known as the specific immune system. It contains highly specialized cells that prevent the pathogens or their growth in the body. Adaptive immunity creates immunological memory after the first response to a specific pathogen and it allows protection against the same pathogen hereafter. This process of acquired immunity is the basis of vaccination. It provides long-lasting protection. The cells that carry out the adaptive immune response are the white blood cells and lymphocytes. B cells helps in the production of antibodies which comes under the antibody responses. The T cells helps in the cell mediated responses. Antibodies are proteins known as immunoglobulin. They travel all over the body through the circulatory system and bind to the foreign particles and inactivate them by not allowing them to bind to the host. In adaptive immunity pathogen specific receptors are acquired during the lifetime. The pathogens have receptors through which they bind to the host cell. The antibodies either make deformities in the receptor part of the host cell so that the pathogens cannot bind to them or they bind it to the pathogens thereby preventing them to increase the infection. Adaptive immunity is activated in vertebrates when a pathogen moves over the innate system, it generates a threshold signal to activate the dendritic cells for the process of antigen presentation. Specific antigens are recognized during the process of antigen presentation. 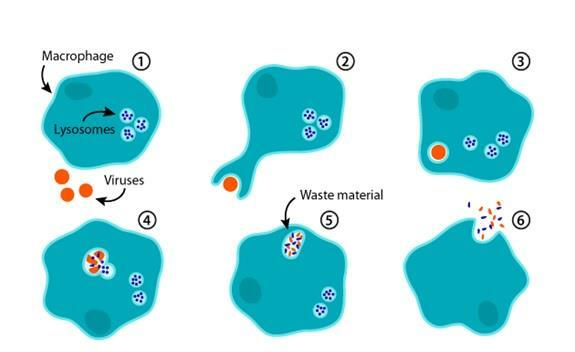 The responses get generated from the pathogen infected area to eliminate specific pathogens. Immunological memory is developed in which the pathogens are remembered through memory B cells and memory T cells (Foreman, D. B., & Bohlson, S. (2014)). Innate immunity is inborn whereas adaptive immunity is acquired during the life time. Innate immunity is always present in the body whereas adaptive are developed when exposed to a pathogen. Innate cells act immediately on the pathogenic sites whereas adaptive requires few days to act on the pathogenic sites. Innate immunity is non specific whereas adaptive acts on specific pathogens. Innate immunity is unable to keep immunological memory whereas adaptive immunity can be used for long term protection against the pathogens. Major challenges have been faced to define many cellular interactions and subsequent functions of several complement receptors. Failures in immune system can be categorized into two types - primary and acquired. Primary is from the birth whereas acquired immunodeficiency is adapted during the lifetime. Primary deficiency affects any part of the immune system but mostly affects the lymphocytes. The secondary immunodeficiency is acquired during the lifetime from the environmental factors. These mainly attack the macrophages, dendritic cells and T- helper cells. Autoimmune disorders are some of the failures of innate immune system. Eg- Rheumatoid arthritis, Lupus etc (Daha, 2011). The enlistment of a versatile insusceptible reaction starts when a pathogen is ingested by a juvenile dendritic cell in the contaminated tissue. These particular phagocytic cells are inhabitant in many tissues and are moderately seemingly perpetual, turning over at a moderate rate. They get from a similar bone marrow antecedent as macrophages, and move from the bone marrow to their fringe stations, where their part is to review the nearby condition for pathogens. In the long run, all tissue-occupant dendritic cells relocate through the lymph to the provincial lymph hubs where they cooperate with recycling credulous lymphocytes. On the off chance that the dendritic cells neglect to be enacted, they incite resistance to the antigens of self that they bear. The juvenile dendritic cell conveys receptors on its surface that perceive normal highlights of numerous pathogens, for example, bacterial cell divider proteoglycans. Similarly as with macrophages and neutrophils, authoritative of a bacterium to these receptors invigorates the dendritic cell to overwhelm the pathogen and corrupt it intracellularly. Juvenile dendritic cells are additionally ceaselessly taking up extracellular material, including any infection particles or microbes that might be available, by the receptor-free component of macropinocytosis. The capacity of dendritic cells, in any case, is not fundamentally to devastate pathogens but rather to convey pathogen antigens to fringe lymphoid organs and there exhibit them to T lymphocytes. At the point when a dendritic cell takes up a pathogen in tainted tissue, it ends up plainly actuated, and goes to an adjacent lymph hub.